For all he does on the ice, it wasn't just his contributions once the puck drops that prompted the St. Louis Blues to re-sign David Backes to a long-term deal. He's the perfect prototype for an all-round hockey player, a power forward who uses strength, skill, size, and on some occasions, a swift uppercut. Backes is also a major presence in the community, including his work, along with his wife Kelly, with the St. Charles Humane Society, which helps neglected animals through his program, David's Dogs. The couple works with the shelter by promoting and participating in various fundraisers, along with their efforts as members of the Board of Directors. So, when you combine what he does on and off the ice, it came as no surprise that Backes was a wanted man by the Blues, the end result being a five-year, $22.5-million contract that keeps the fan favourite in the fold as the Western Conference team seeks to become a legitimate Stanley Cup contender. 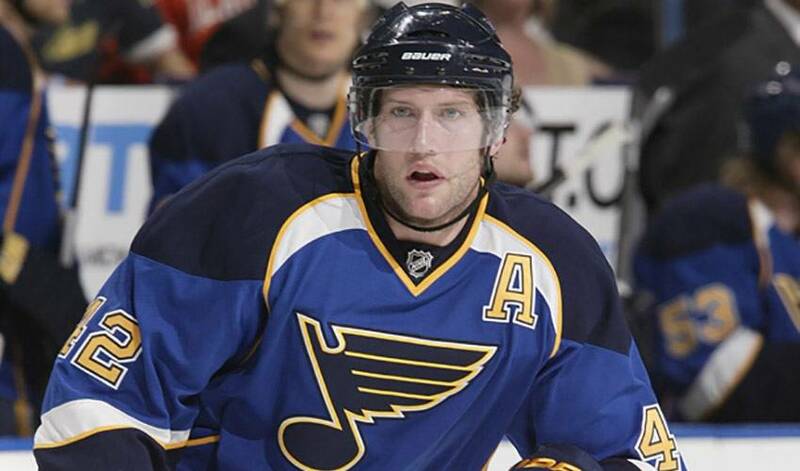 Backes, who was slated to become an unrestricted free agent next summer, was signed to an offer sheet by the Vancouver Canucks in the summer of 2008, but the Blues didn't want him going anywhere else. They're certainly pleased with that decision. What Backes is all about, in terms of his approach to hockey, is a mix of offence and grit, a player that can make his presence known with either finesse or physicality. Backes has been a difference-maker since he joined the NHL ranks in 2006-07, and has been especially strong in recent seasons, including 2008-09. He had a career-high 31 goals, 54 points and 165 penalty minutes, including a goal and two assists in four playoff games. That campaign, Backes became just the sixth player in Blues' history to score four goals in a game on April 2, 2009 at Detroit. Along with three-time Ted Lindsay Award winner Alex Ovechkin, Backes was one of only two NHLPA members to record over 30 goals and 200 hits and the only player in 2008-09 to score over 30 goals and serve more than 150 penalty minutes. In 2009-10, the 6'3, 225-pounder notched career highs in both hits (266) and assists (31) while tying for second on the team in both points (48) and assists in 79 games played. Backes was also selected to represent the United States at the 2010 Winter Olympics, notching a goal and two assists in six games, helping Team USA capture the silver medal. With the Blues off to a quick start in 2010-11, Backes, one of the team's alternate captains, will look to play his part in keeping the momentum going as the Central Division club looks for a return to the playoffs after missing out last season. Backes certainly likes the group that's been assembled in the Gateway City. It's apparent the former Minnesota State standout (he registered 119 points in 115 career games with the Mavericks) is happy to be where he is.